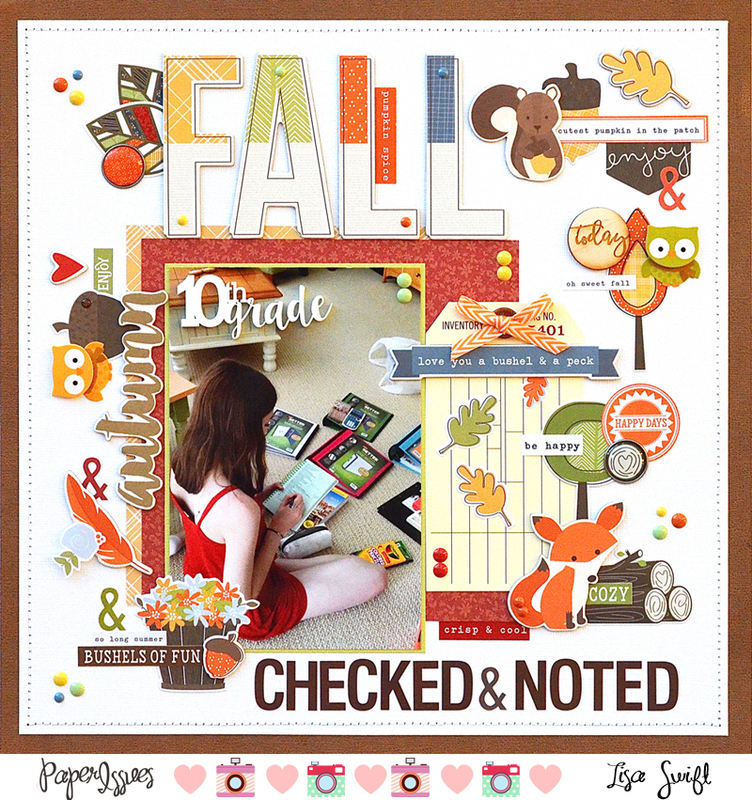 Paper Issues is putting the spotlight on the Hello Fall collection from Simple Stories today. Be sure to check out the Paper Issues blog to see what my fellow design team members created. If you'd like to add this pretty collection to your stash (or anything else that catches your eye), use the code LISA20 when you shop and save 20% on your order. Love that you documented this! LOVING the colors and the big title!!!!!!!!!!!!! Another cool documentation that I know she'll look back with fondness. Love the papers and that big title too.